Around 8:16 a.m. on Monday, Deya Erickson carefully laid her stretching mat on the track at the A. O. Shirley Recreation Grounds, placed her bag on it then began arranging the nearby hurdles to begin her drills. 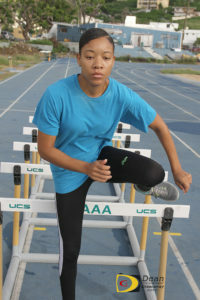 This time a year ago, Erickson, the BVI’s 100m Hurdles National Record holder, was on crutches recovering from a September knee surgery, after getting injured in April as she was about to leave for the 2016 Carifta Games in Grenada. With nine months off, over the summer, she began doing basic dynamic movements to strengthen her hips and elsewhere, before starting to run in October after Hurricanes Irma and Maria. The process for her 2018 comeback is underway. Following the surgery, she said that she had a mishap with the school and was unable to complete her full rehab and was off for the rest of the year. Now that she’s back in action, she said the problem isn’t getting over the hurdles because she overcame that, but the issue is strengthening her knee to prevent further injury. She’ll soon begin working with a therapist for the necessary rehabilitative work. When asked what she was looking for before suffering the injury, Erickson who has a personal best time of 14.09 seconds, said she was aiming to break the 14 seconds barrier and get down to 13.8 seconds and get more exposure although she was already in school. She said her hardest transition to college was fitting in with the athletes on the track because they were Spanish, but her focus was to get along with them, respect them and ensure she got the same respect. 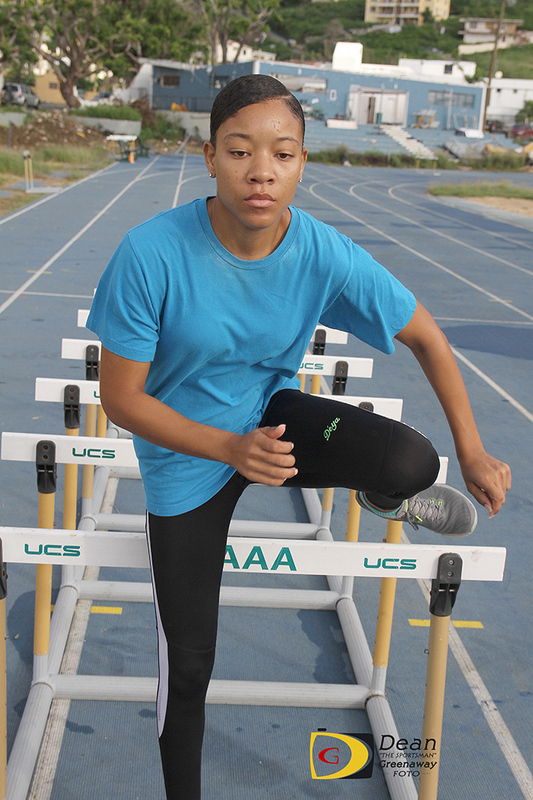 Erickson said it was difficult not being able to compete in the 2016 Carifta Games which was her last. While her hope is to get back doing what she loves in 2018, Erickson said she has nothing to prove to anyone but herself. Running next year she said, would mean proving to herself that she can basically do anything. Through the whole process, Erickson said she has learnt to be patient and have faith. If you don’t have faith and if you doubt yourself she said and if you don’t have anything to look forward to, it doesn’t make sense to work or do anything because you wouldn’t be getting the best out of it.